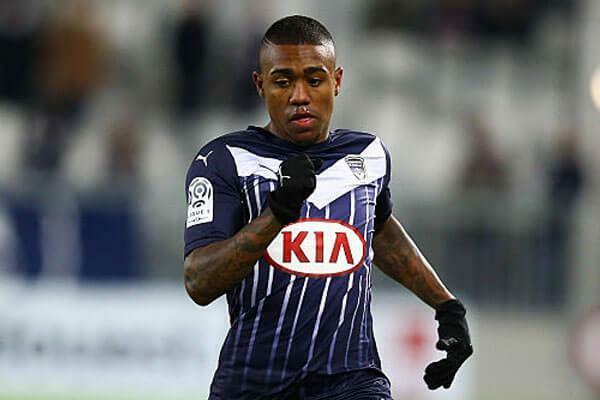 Last week, Liverpool were rumoured to have scouted Bordeaux’s teenage Brazilian Malcom, who’s notched six goals in all competitions this season. Manchester United were also watching the 19-year-old who’s already racked up 115 professional appearances for Corinthians and his Ligue 1 side, whom he joined in 2015. But Malcom doesn’t know anything about interest from England’s two biggest clubs and is instead focussed on his current club. Although he is flattered by news that Sevilla’s Jorge Sampaoli is a fan. “This thing about Liverpool (and) Manchester – I don’t know anything about it,” he said, reported in the Metro.”‘I’m very calm, I only think about Bordeaux today. I want to do my job well and give French fans lots of joy. Malcom has pace to burn and plays as a wing-forward, comfortable on either the left or the right in a 4-3-3 – the formation Jurgen Klopp uses most often. We need players like this in the squad, although at the moment, English football would be too physical and demanding for Malcom, who’s not one of France’s standout players by any stretch. We’d be happy to see him progress at Bordeaux for another year or so and instead target players who’ll immediately boost our starting XI.